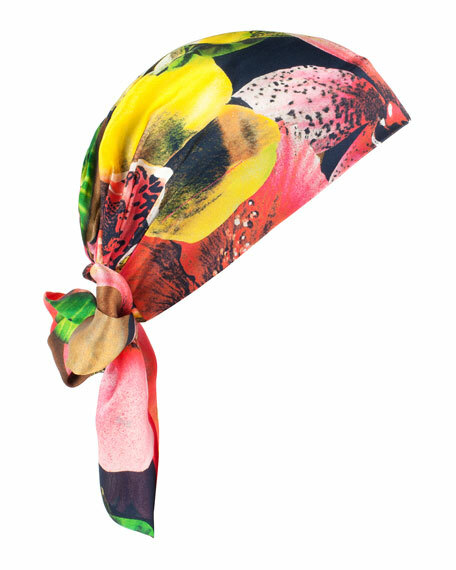 Eugenia Kim "Gigi" silk head scarf in floral print. 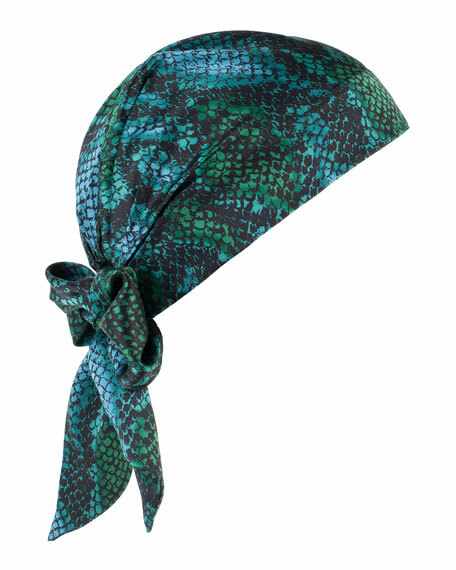 Elasticized back with tie detail. For in-store inquiries, use sku #1587137. Exclusively ours. 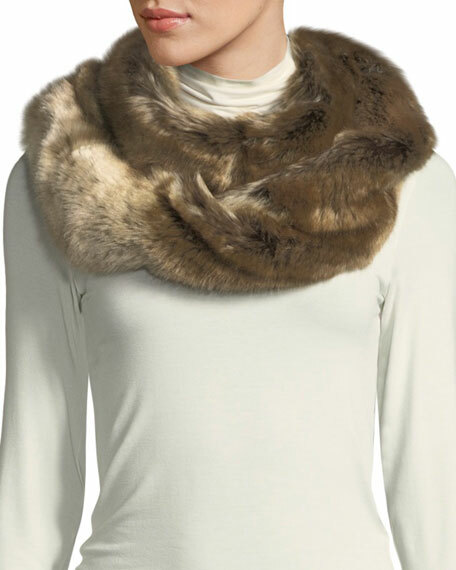 Fabulous Furs oversized eternity scarf in faux fur (acrylic). 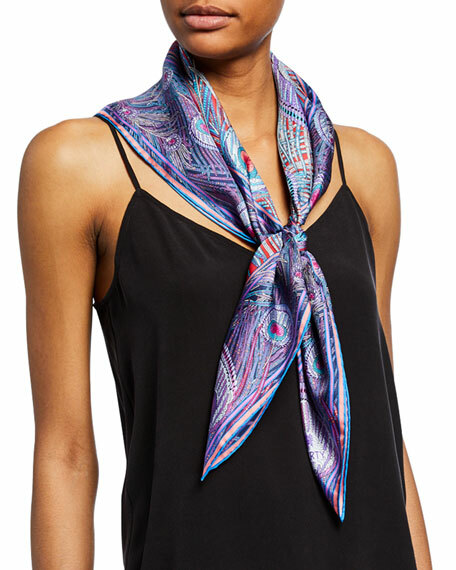 Twist in scarf. 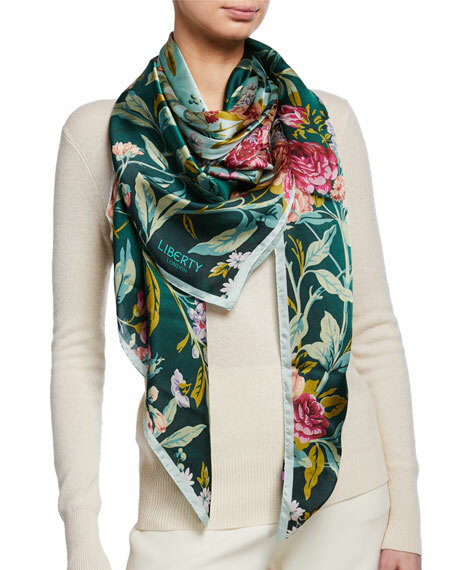 Fits loosely around the neck. Slides easily over head. May be styled multiple ways. Polyester back. Made in USA of imported material.